The U.S. Army will investigate charges that five American soldiers were involved in the killings of four Iraqi relatives, including a woman who had been raped, military officials said Friday. 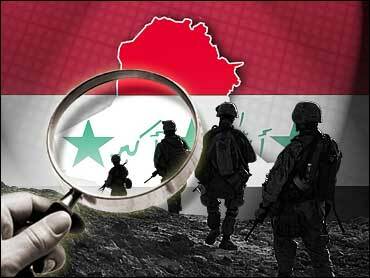 It's the sixth current inquiry into the alleged slayings of Iraqi civilians by American troops. The United States also is investigating allegations that two dozen unarmed Iraqi civilians were killed by Marines in the western town of Haditha on Nov. 19 in a revenge attack after one of their own died in a roadside bombing. "The entire investigation will encompass everything that could have happened that evening. We're not releasing any specifics of an ongoing investigation," military spokesman Maj. Todd Breasseale said of the Mahmoudiyah allegations. Pentagon spokesman Bryan Whitman said he had no additional details on the incident but added that the military routinely investigates all allegations of misconduct. However, a U.S. official close to the investigation said at least one of the soldiers, all assigned to the 502nd Infantry Regiment, has admitted his role and been arrested. Two soldiers from the same regiment were slain this month when they were kidnapped at a checkpoint near Youssifiyah. Romania will not withdraw its troops from Iraq, President Traian Basescu said Friday. "The proposal to withdraw the troops was rejected," said Basescu following a meeting of the country's top defense council, which has the power to decide the fate of the mission. Romania has 890 troops in Iraq. Russia on Friday offered a $10 million reward for information on the killers of five Russian Embassy staff in Iraq. "For information which will lead to the result being achieved, the National Anti-terrorist Committee of the Russian Federation will pay a reward of $10 million," said the head of the Federal Security Service, Nikolai Patrushev, according to the RIA-Novosti news agency. In Muqdadiyah, a rocket-propelled grenade hit a Shiite mosque, and 30 minutes later, gunmen in black uniforms often worn by Shiite militias attacked a Sunni mosque, police said. Attackers in two cars also gunned down Sunni Sheik Hatam Mitaab al-Khazraji after he finished Friday prayers in Abu Saida, northwest of Baqouba, police said.The U.S. military has staged several raids in the area since al Qaeda in Iraq leader Abu Musab al-Zarqawi was killed there earlier this month. The military said Thursday it had gained an advantage in the fight against the terror network. Senior officers were aware of the family's death but believed it was due to sectarian violence, common in the religiously mixed town, a U.S. official said.